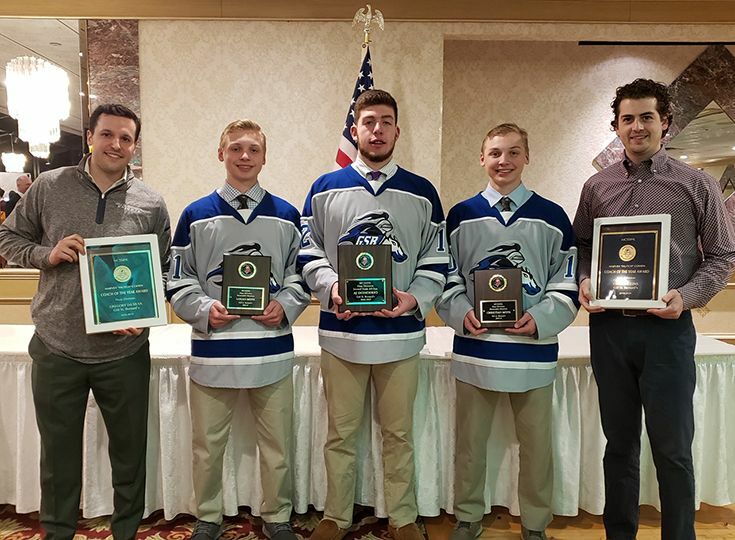 Four members of the ice hockey team have been selected to the MCSSIHL All-Division teams after contributing to the team’s best season in program history this past winter. AJ Donofrio ’19 and Brenen Lavoie ’21 were selected to 2nd-Team HAAS Division. Donofrio had 16 points on the season (5 goals, 11 assists) while Lavoie led all the Knights this season with 20 points (10 goals, 10 assists). Also receiving accolades were brothers Christian and Logan Mote ’22 as they were selected as Honorable Mentions. Christian recorded 17 points (seven goals, 10 assists) this past year while Logan had 14 points (eight goals, six assists).